According to The Economist, Eric Hobsbawm, who has just died on October 1st, was the last of the Mohicans, I mean Marxists. Its news to me. In my view, the surplus approach which was brought back by Sraffa and builds on Marx is the ONLY coherent economic theory left standing. Marginalism (i.e. neoclassical economics) is nothing but a profession of faith, after the capital debates. Among other things, because there is a role for historical and institutional analysis in the surplus approach, related to both the theories of distribution and accumulation, the work of Hobsbawm and other surplus approach historians is essential. The obituary was very thin on his contributions to our understanding about key issues in capitalist development. The review of his contributions in The Economist's obituary was typical of what was written in the press (see also here; the exception here). A lot about his life, and range (yes I know he liked jazz, who doesn't?! ), but his research was not quoted at all. Comments on his books were almost always restricted to the surveys on economic growth since the Revolutions, the so-called Age of Trilogy. "That Marxist tag threatened to tarnish his reputation, when his lucid and scholarly books on what he called the long 19th century, from 1789 to 1914 (“The Age of Revolution”, “The Age of Capital”, “The Age of Empire”), on nationalism and on labour movements deserved, and won, an audience well beyond leftist circles and academe. Defiant, Mr Hobsbawm championed Marx to the last. For his intellectual force; for his grasp of the world as a whole, at once political, economic, scientific and philosophical; and not least for his conviction, as relevant in 2008 as in 1848, that the capitalist system, with its yawning inequalities and naked greed, would inevitably—irresistibly—necessarily—be destroyed by its own internal tensions, and would be superseded by something better." Marxism not only is not relevant, but it almost tarnished his reputation. There is no mention of what was, in my view at least, his major book, namely: Industry and Empire. His book is part of the tradition that suggests that the Industrial Revolution (IR) was demand driven, not supply constrained (like David Landes used to believe in the 1960s, in his Prometheus Unbound). Further, he argued that external demand (as Phyllis Deane) was crucial, and he insisted that without colonial markets, particularly in India (i.e. without Empire) there would be no Industrial Revolution. Imperialism and the search for global hegemony are joined at the hip with the development of Capitalism. Also, there is nothing about his views on the standard of living debate during the Industrial Revolution. To modern economic historians like Jeff Williamson and Peter Temin (subscription required) the IR had a positive impact on the living standars of the working class. Hobsbawm, like other Marxist historians, e.g. E.P. Thompson, was on the pessimist side of the debate. For a modern pessimistic view see Charles Feinstein (subscription required too). Hobsbawm was not just a popularizer of history, he was central for important debates in the Marxist tradition, which should be central for understanding of modern capitalism. 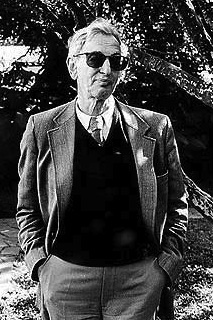 Hobsbawm's theoretical underpinnings of his views of capitalist development, by emphasizing demand, are in the tradition of what we refer in this blog as classical-Keynesianism. Marx's views on distribution as conflictive, which are part of the broader surplus approach tradition, are essential for Hobsbawm contributions to economic history, and show why Marx is still relevant and required reading for anybody that wants to understand capitalism (i.e. the world we live in). PS: Other central Marxists contributions to historical analysis are associated to the transition to capitalism, and Dobb and Sweezy are still required readings. Note that Marxists suggest that the origins of capitalism are associated to institutional changes in the productive structure (which might be pushed by expanding demand), and not as a result of cultural or geographical matters. Interesting. Any more book recommendations on this topic? Tnx. Thanks! Added to my reading list. Amateur here: could you contrast surplus approach with marginalism? Why is marg. equated with neoclassical econ.? Why is it wrong? Hi Peter. I've written quite a bit about it. Just search the blog. But to put it simply the surplus approach suggests that distribution is determined exogenously by conflict. In the process of reproduction of society, certain groups are able to extract a surplus from others. This is basically what Petty, Quesnay, Smith, Ricardo and Marx argued. Marginalism suggests that distribution results from supply and demand. Workers are paid, like capitalists or any social group, according to the relative scarcity of their services. Because it is the substitution at the margin (last unit) of an expensive factor or good for a cheaper one it's called marginalism. Veblen called them (rather incorrectly) neoclassical, and the name stuck. Austrians, Marshall, and Walras, and the vast majority of economists think along these lines now. Why is it worng? Again just search capital debates in the blog. But here is a shirt reply. There is a logical problem with the idea of a quantity of capital as a factor of production that you can use to produce things. If you want to determine the quantity of capital used with supply and demand, and also get the price (the price of capital being the rate of interest), you'll find that you need the rate of interest to calculate the quantity of capital demanded, since people would demand capital according to the rents they can get by using it in the future. Hence, you need to know the rate at which it provides those rents. But in order to get the interest rate you need to have the supply and demand for capital. Circular reasoning. The surplus approach authors argue that the rate of interest is determined institutionally, by banks (central bank being key), and is associated with how much surplus capitalists (bankers) can extract from society. Hope this helps. Also, the surplus approach is perfectly compatible (I would say the ONLY one that is compatible) with Keynes's principle of effective demand. Since marginalism requires that supply and demand eventually get full employment in the labor market (unless there is an imperfection, i.e. wage rigidity). You can search that too in the blog. As I read it, Matias, Veblen uses "neoclassical" to mean broadly the English school including Mill fils, Cairnes, Keynes pere, and Marshall. He implies that this succession derives from Ricardo. There seems to be no intent to group the Austrian and Lausanne economists with the "neoclassicals". I suppose this is why you append "rather incorrectly" to Veblen's appelation. Hi Will. The problem is that Ricardo has nothing to do with Marshall. Even Stuart Mill is problematic. As Krishna Bharadwaj noted, all that is Ricardian in Stuart Mill did not get into Marshall, and everything that is not Ricardian in Mill did get into Marshall. So the neo (marginalist) have no connection with the classical (surplus approach). Note that the implication is that Adam Smith (Patron Saint of pro-market economists) has more to do with Marx than with Walras (that's why my students use T-Shirts that say, "I read Adam Smith and understood it!"). The Austrians, Walrasians and Marshallians all share the principle of substitution, and whether Veblen got it or not are all the same thing from a formal point of view. Makes perfect sense, thank you. I fail to see how marginalism + market power would not suit a surplus analysis. Many smaller entrants are free-riders on monosponistic depression of wages, for example, but as there is not completely free entry, they cannot drive wages up to an efficient level. Government intervention as well, while often able to correct market failure can exacerbate it... etc. etc. The idea that one needs to politicize exploitation and accumulation seems aimed more at precluding possible remedies and politicizing those that remain than providing a comprehensive analysis. It's a compelling argument, but one that ignores the Great Compression. Fordist/Keyenesian means can combat accumulation, but it is indeed a balancing act, one fraught with difficulty where the wrong assumptions prove disasterous... of course, you could talk to those who manage nuclear chain reactions and get the same description of their work. "In my view, the surplus approach which was brought back by Sraffa and builds on Marx is the ONLY coherent economic theory left standing." This assumes what needs to be proved: "builds on Marx." You know you can't prove it, and that's why you falsely refer to the TSSI as an "approach" rather than an exegetical interpretation, and why you appeal to authorities that supposedly "established" this but didn't because they can;t disprove the claim that the TSSI eliminates the alleged internal inconsistencies in Marx's value theory, and why you suppress my comments exposing this. You will not get away with this, I assure you. Just the other day, I received the following comment from a young person in India: "What I tell my friends is that you will clearly be remembered in history for being the only scholar to satisfactorily prove the validity Marx's LTV and, therefore, the political economy of the working class, having defended it from reaction." People understand the reactionary character of Sraffianism and "Marxian economics."